With the ubiquity of blogs, one of the questions we hear the most is how to come up with the right topics for new posts. 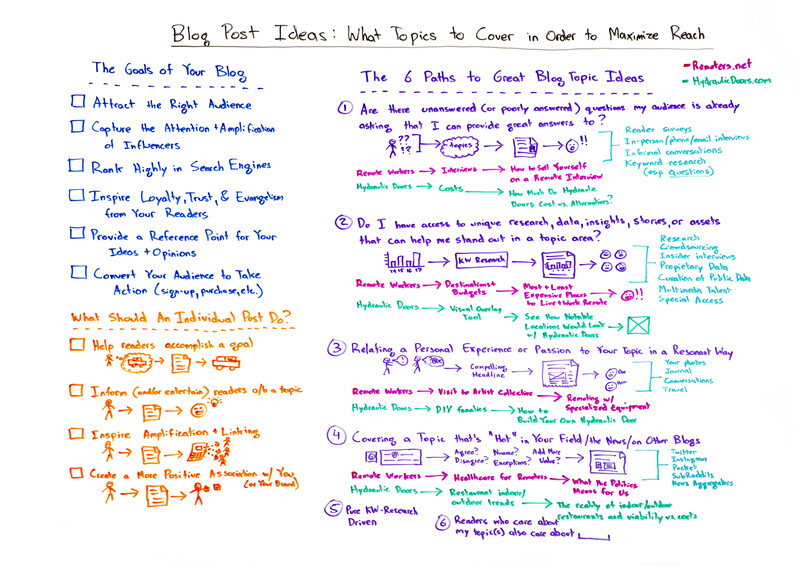 In today’s episode of Whiteboard Friday, Rand explores six different paths to great blog topic ideas, and tells you what you need to keep in mind before you start. Howdy, Moz fans, and welcome to another edition of Whiteboard Friday. This week, we’re going to chat about blog post ideas, how to have great ones, how to make sure that the topics that you’re covering on your blog actually accomplish the goals that you want, and how to not run out of ideas as well.